Villa Los Naranjos is tastefully decorated with open atmosphere with a state of the art kitchen leading on to an outdoor breakfast area and to the indoor dining room. The villa also has 6 bedrooms, large living room, 5 en-suite luxurious bathroom, dressing room/or spacious closets, cinema room, large landscaped gardens and sunny swimming pool area. The villa has a modern design with large double vaulted ceilings and a fantastic games room with home cinema as well as SPA area including sauna. Within just a few minutes’ drive you have all the local amenities of Nueva Andalucía and 7 minutes you are in the bustling marina of Puerto Banus and the beach. 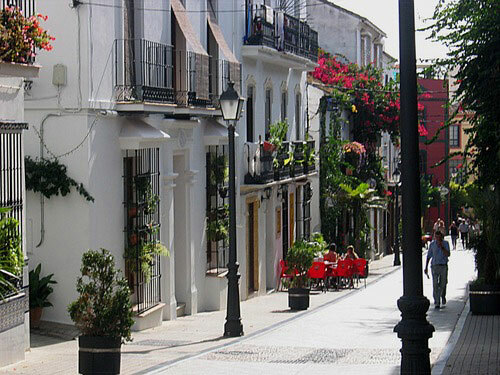 The apartment Los Naranjos is located in Marbella area. Marvelous 6 bedroom villa located front line Los Naranjos course with large landscaped gardens and sunny swimming pool area.